Domestic and commercial cleaning and maid service in Suffolk, Norfolk and Essex. 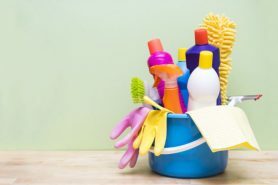 We offer a comprehensive domestic cleaning service. We pride ourselves on our high quality cleaning service and our attention to excellent customer service. All of our cleaners are very experienced, diligent, hard working and professional. We only use DBS checked staff and ensure that you will be sent a cleaner who is local to you and who will be punctual and efficient. Regular weekly house cleaning service: This service is a bespoke cleaning service to meet your weekly cleaning needs. You will meet with our cleaner and discuss the duties that you wish for us to undertake….. assuming you like the cleaner that we send, you will then arrange the services and hours between you. All duties such as cleaning, ironing, vacuuming undertaken. One off deep clean: This is an extensive clean of your whole house as a one off service. Whether it be a spring clean or a thorough clean of a rental property, we will take care of it. Minimum of 4 hours needed for this service. Duties will be agreed before hand between the cleaner and the client. Everything from oven cleans, bathroom cleans, carpet and upholstery cleans covered. For more services regarding rental properties and refurbishments, see our property maintenance page. We offer a professional housekeeping service to holiday lets and second homes in the Suffolk, Norfolk and Essex area. We ensure that your holiday let is looking and smelling fresh and clean and that everything is ready and inviting for your customers. We provide specialist cleaning services to our clients who range from business centres, small offices to pubs and shops. We work together with our clients to tailor our service to meet their needs.